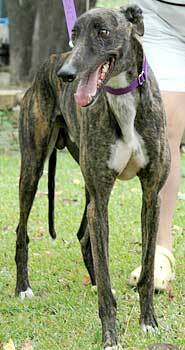 Kirby is a 3-year-old handsome dark brindle male born September 2001. He was found as a stray in the Terrell community. His left ear is double tattooed, so his past life is a mystery. 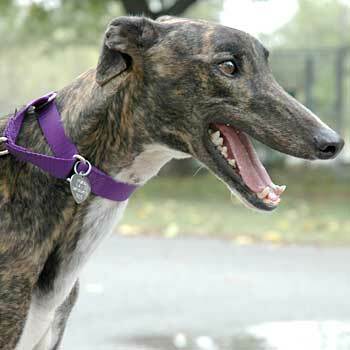 Kirby has a very friendly, outgoing personality and has a striking white blaze on his chest. One of his favorite things to do is play fetch with a ball and no, he is not a retriever! He walks well on a leash and is a quick learner. Kirby is cat trainable.